What you’ll need to do is to download a free program called Clownfish. 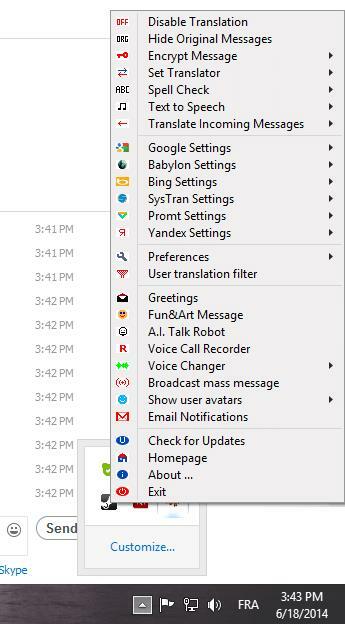 This program is primarily intended as a translation tool, but it also offers a wide variety of voice effects, which is what we’ll be looking at today.You can download Clownfish here: http://clownfish-translator.com/download.html. Once you’re finished downloading and installing Clownfish, fire it up as well as Skype. You will then be asked if you want to allow Clownfish to use Skype. Click “Allow Access”. You should now see this message confirming that Clownfish is working. So how do we add effects to our voice? Well, you need to access the Clownfish menu. You can do this by going to your task-bar and right-clicking on the Clownfish icon. 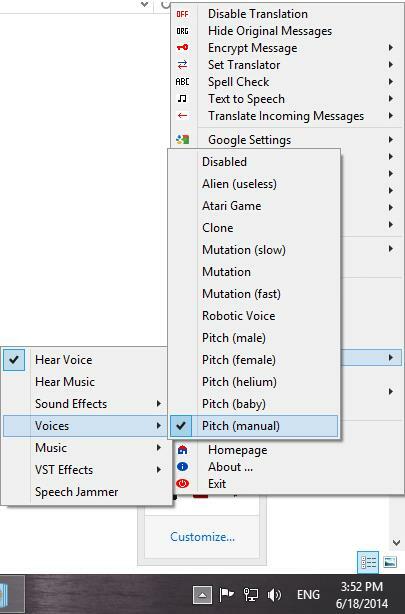 Now, go to the voice changer sub-menu and select “Hear voice”. This will allow you to… well… hear your voice :P. We can now add an effect. Go to Voice Changer > Voices, and select the effect you want! You should now hear the effect you chose, and so will your friends. I hope you’ve enjoyed this article and don’t forget to come back for more!